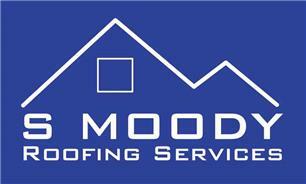 S Moody Roofing Services - Fascia/Soffits/Guttering, Roofer, Windows/Doors/Conservatories based in Portsmouth, Hampshire. S Moody Roofing Services is an enthusiastic, reliable and honest company. Every job we do, we do to the highest quality. Whether it's a small repair or a complete re-roof you will always receive a high standard of work. Nothing's too much trouble, and we offer free estimates, advice and an emergency 24 hour call out service. We cover all aspects of roofing: pitched, flat, leadwork, Firestone epdm single ply, chimney re-pointing, fascias and guttering. Whatever your roofing needs, we have it covered.